After a trip to Tesco for some food shopping the Mr appeared with what looked like new bedding. I was a little 'eeek' at first as we don't always have similar taste in items for the home but he picked a lovely plum set which matches the room colours perfectly. Job well done - I was pleasantly surprised! 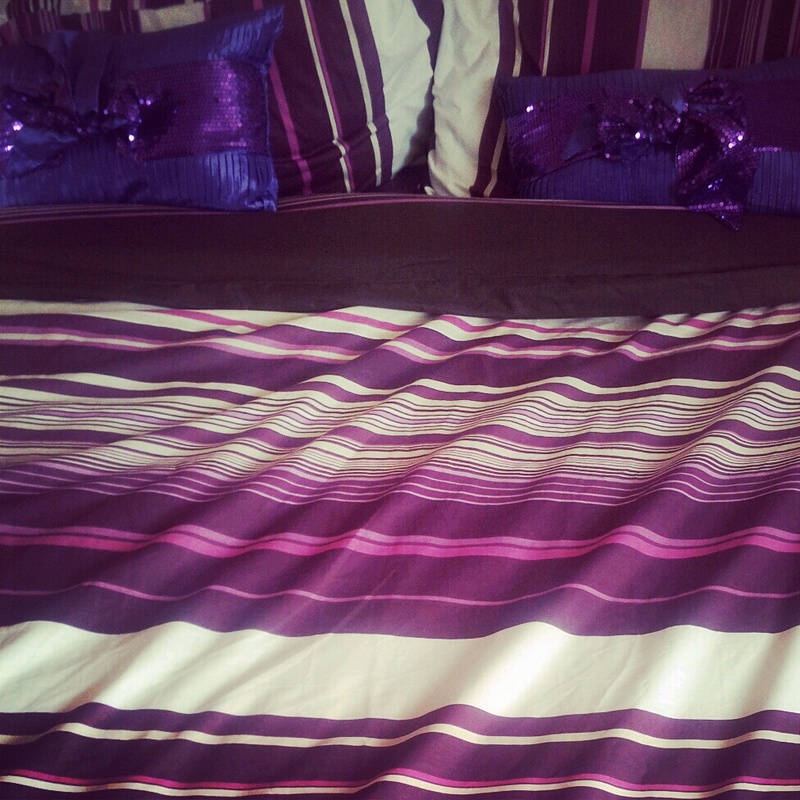 Your mr is a lot braver than me id never dream of coming home with new bedding !